We wanted to give a shout-out to one of LOTRO's most important player resources this week - The LOTRO Wiki! This has been the go-to place for people to get info on the game for years now, and we all appreciate it. Click here to visit the Wiki. The Land of Shadow has some great images of the Black Gate, along with some Update 20 music! Click here to watch and listen. Druidsfire is our newest streamer on LOTROstream! Click here to watch her show on Friday evenings starting at 8:00 PM Eastern. PCgamesgirl has released her final video looking at the Spring Festival. Click here to watch it! The Rolling Kegs are hosting a comedy and music show on April 4th on Laurelin! Click here for more information. Notenzauber are hosting their 2nd Classical Concert this Saturday on Belegaer. Click here to get more details about this show, or join them in the Bree Scholar Hall at 3:00 PM Eastern! Wisdom of the Valar are an Evernight-based Kin that welcomes all types and classes of player. They have their own Kin Island, Facebook group, Twitter account, and more! Find Adye, Bearlee, Bravery or other kin mates in-game to learn more about this 9-year-old Kin. 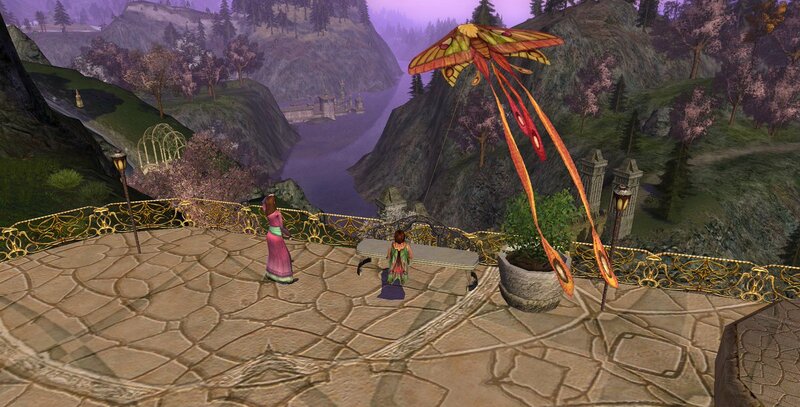 LOTRO Players News goes spoiler-light in their U20 talk for Episode 195. Click here to hear it! Light the Beacons looks to the future in Episode 63. Click here and subscribe to their show! LOTRO Reporter talks about their first impressions of Update 20 in their newest show. Click here to check it out. Dadi's LOTRO Guides delves into U20 Reputation and Crafting Instance Gear and items! Click here for the guide, including a version translated into Spanish. RedShadow1993 is continuing a Starter Equipment Challenge. Click here to see it. Zogog gets into Shire Racing in a new YouTube video. Click here, quick! Andang finds the Seven Gates and continues his travel through the Epic Story on his YouTube channel. Click here for the latest. The Battle of the Black Gate has arrived! Click here for an overview of Update 20, along with some killer images! Update 20.0.1 has been released. Click here for the Release Notes. Cordovan has amazing spider-friends in the latest +Cord of the Rings. Click here to say hello! Leixicon on Twitter has posted this great screenshot of the Moth Kite above Duillond, and is our pick for this week's Screenshot of the Week. Follow Leix on Twitter here! The Weekly Coupon: Get a free Dye: Ranger Green x2 with the Coupon Code SPRINGGREEN (1/Account), now through April 6th!